Brooklyn Elizabeth Holcomb, 5, was pronounced dead on January 17, 2007, as the result of a blow to the head suffered two days earlier. Medical personnel found her body severely beaten, especially on the buttocks and head. Her biological father Ronald Holcomb, 36, a prison guard, is charged with first degree murder. Her step-mother, Tracy Farmer, the former Tracy Holcomb, was living with Brooklyn and Ronald at the time in their home in Princeton, West Virginia. Farmer has made a deal with the court to assist in the investigation of Brooklyn's death in exchange for the prosecution not opposing her request for probation only. Ms. Farmer was said to be at her workplace the day Brooklyn, in the care of her father, was bludgeoned. Holcomb is a veteran with a history of treatment for problems with anger. He puts the blame for Brooklyn's death on Farmer. His defense lawyers claim Farmer had equal opportunity and was more motivated to hurt Brooklyn. Indeed, Farmer admits that she had significant problems with Brooklyn, claiming the child had “Reactive Attachment Disorder,” which made her defy her authority and reluctant to form an attachment to her. The defense lawyers state that Farmer disciplined Brooklyn harshly, denying her food, having her lick soap, and forcing her to eat her own vomit. Farmer said she was baffled and jealous that Brooklyn showed more affection for other people with whom the child only had a "superficial relationship." She said Brooklyn enjoyed, at her step-mother's expense, having more influence over her father, as when he failed to discipline her as harshly as her step-mother thought appropriate. On April 23, 2009, after deliberating two hours, a jury found Ronald Holcomb guilty of second degree murder and child abuse. Although he didn't take the stand, he admitted that he paddled Brooklyn too hard, but denied he delivered the blow responsible for the child's death; he claimed Brooklyn had suffered some unseen accident that was accompanied by a loud crash. Prosecutors argued that he brought his prison job home and tried to break his strong-willed daughter. Holcomb will be sentenced in June 2009. Both charges carry a 40-year maximum. 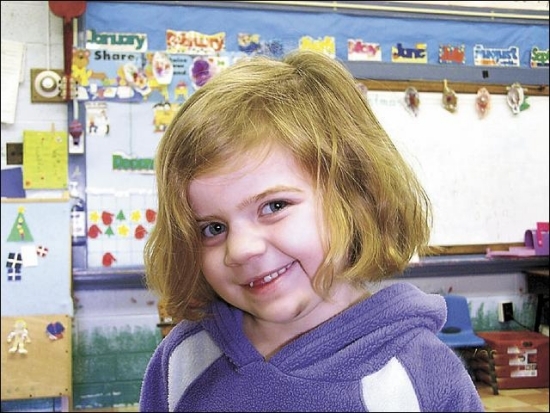 “5-year-old’s final hours,” by Tammie Toler, Bluefield Daily Telegraph, 27 Jan 2007. “Jury hears evidence in Holcomb murder trial,” by Tammie Toler, Bluefield Daily Telegraph, 21 Apr 2009. “Stepmother takes the stand,” by Tammie Toler, Bluefield Daily Telegraph, 22 Apr 2009.